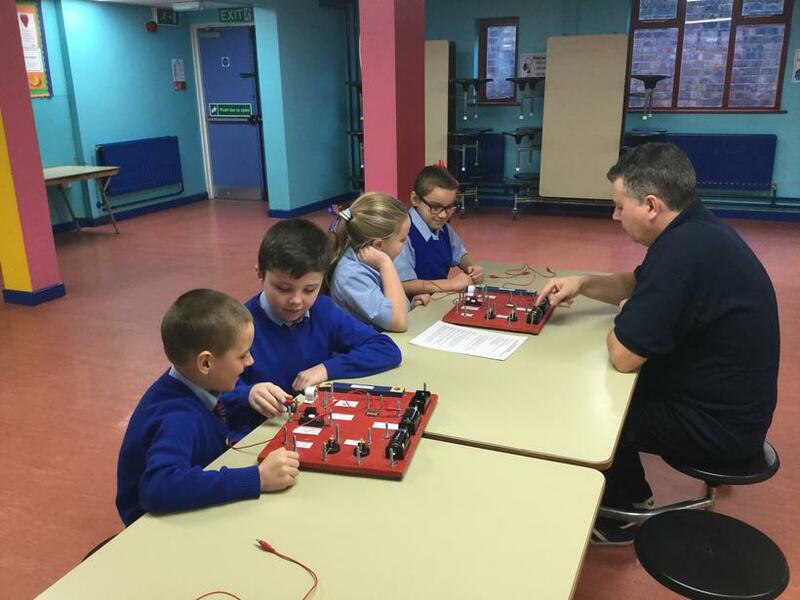 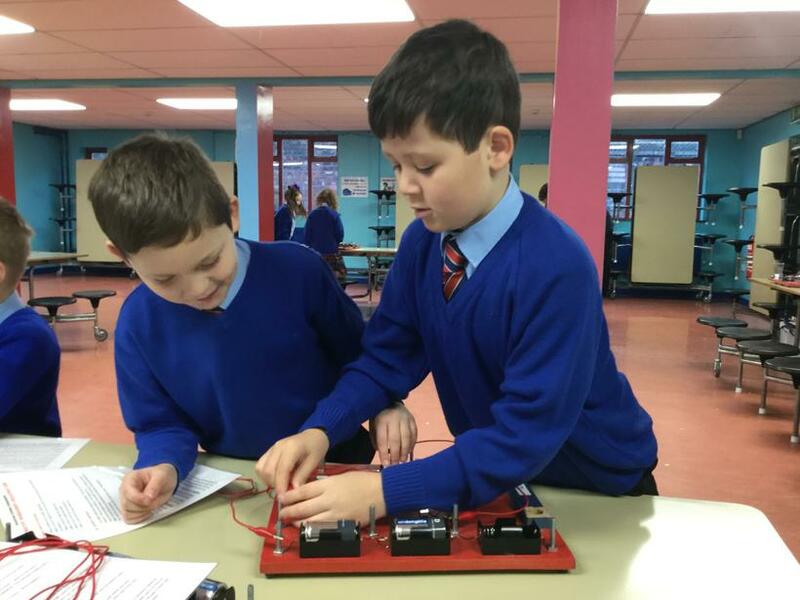 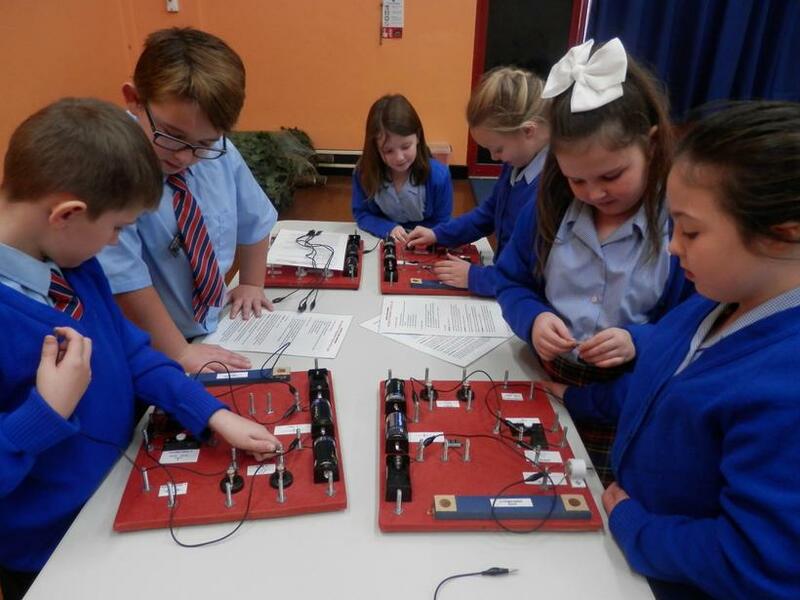 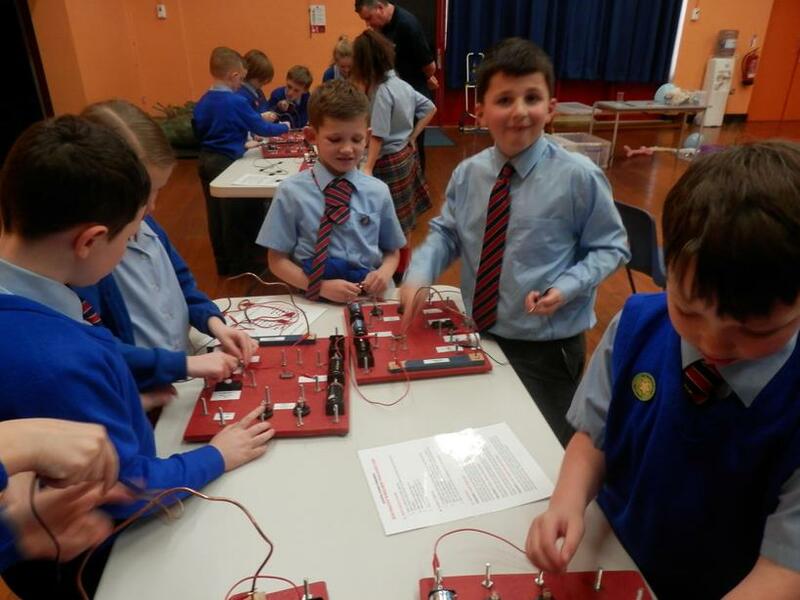 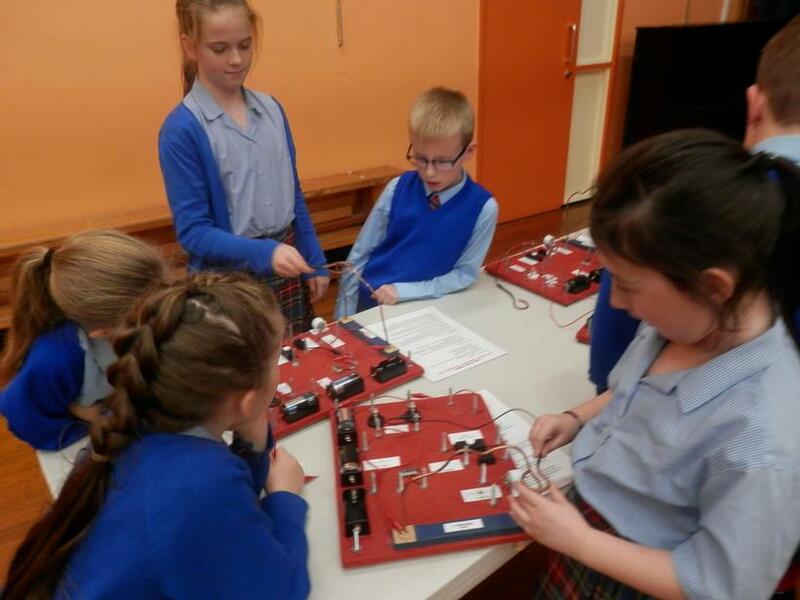 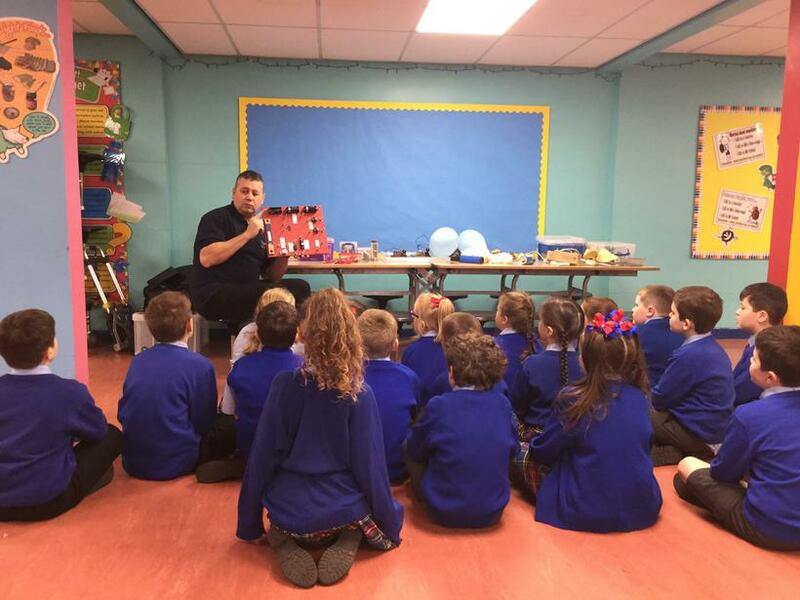 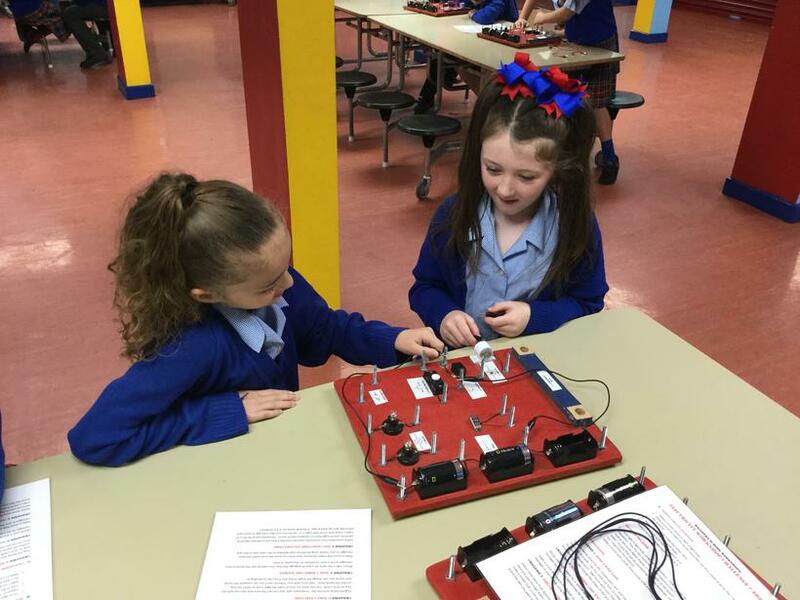 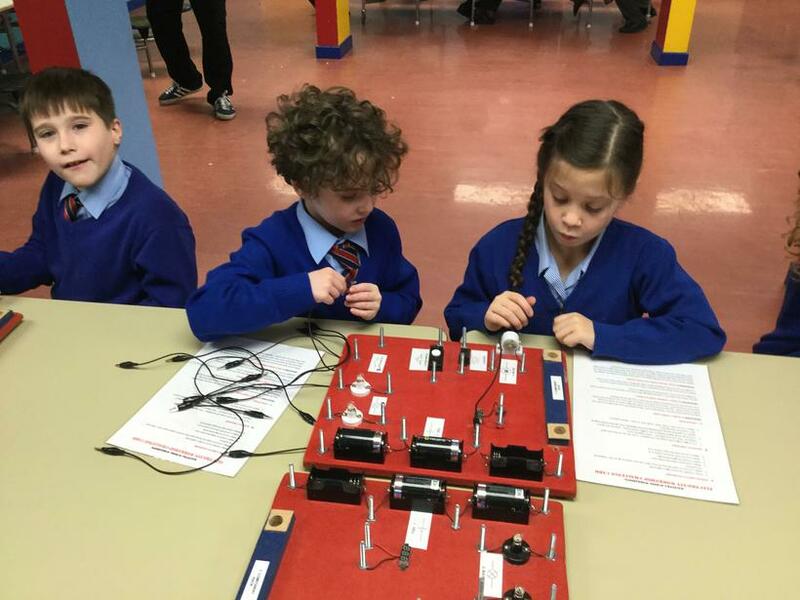 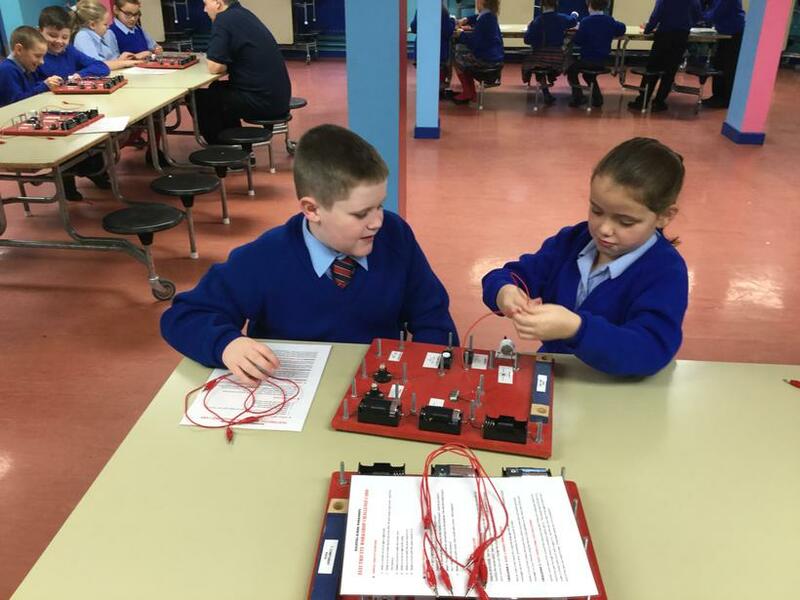 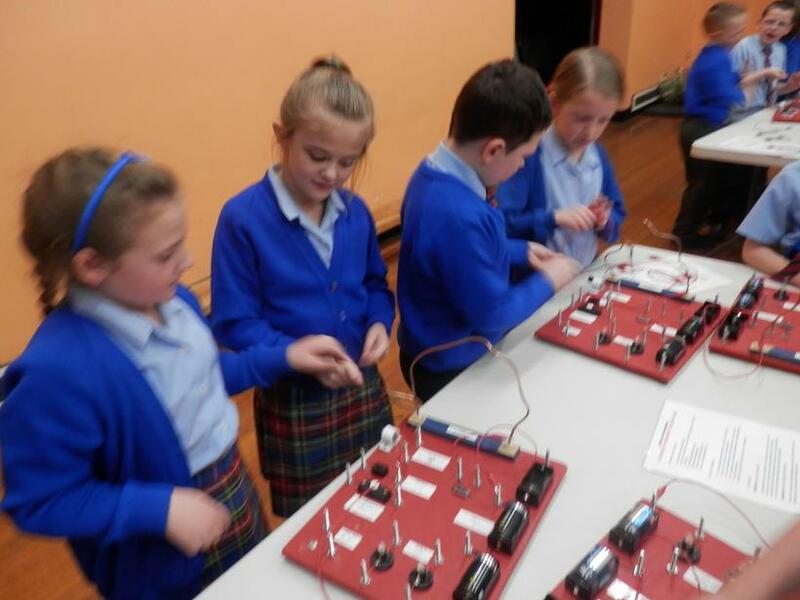 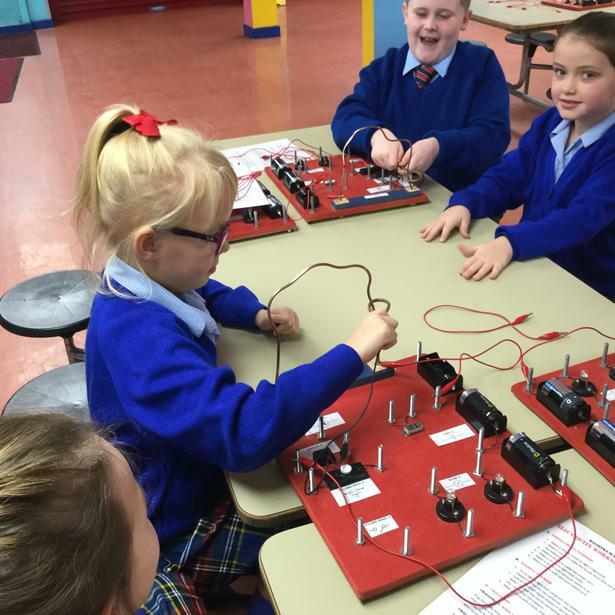 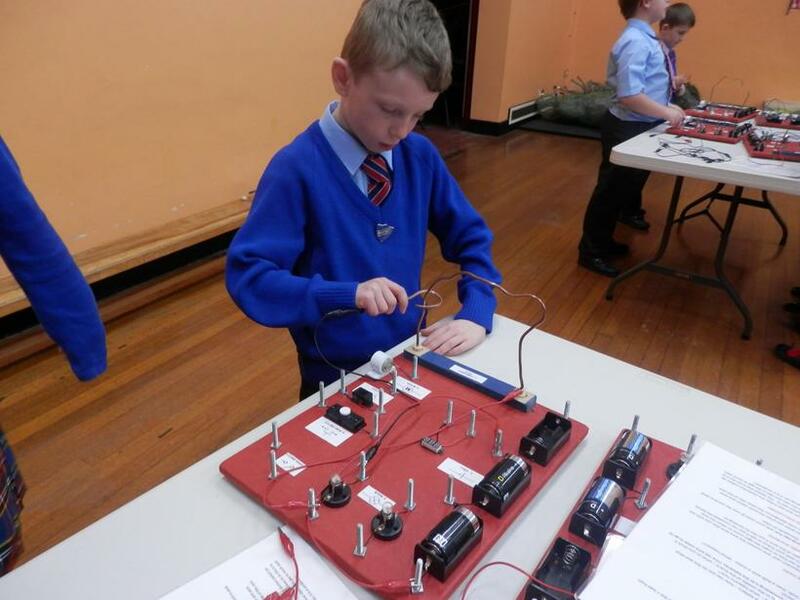 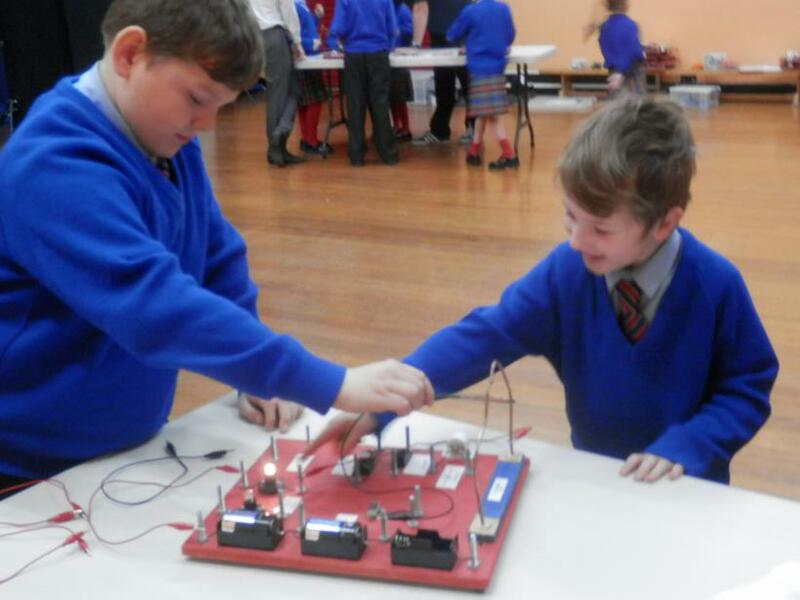 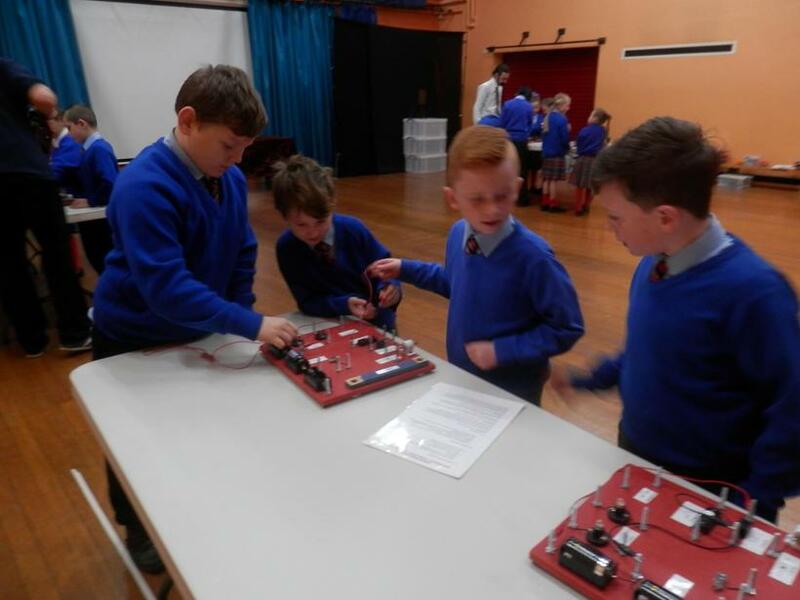 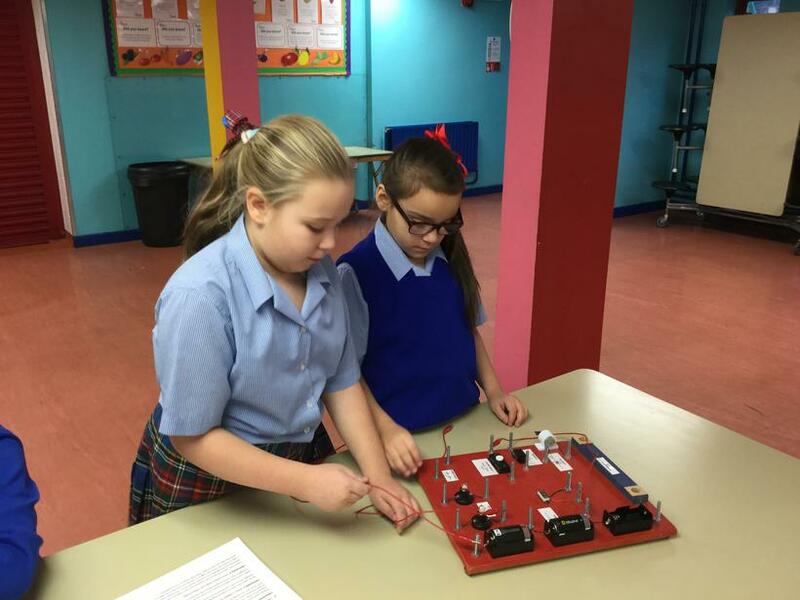 Today, we made an electrifying start to our new science topic by taking part in a wonderful workshop all about electricity. 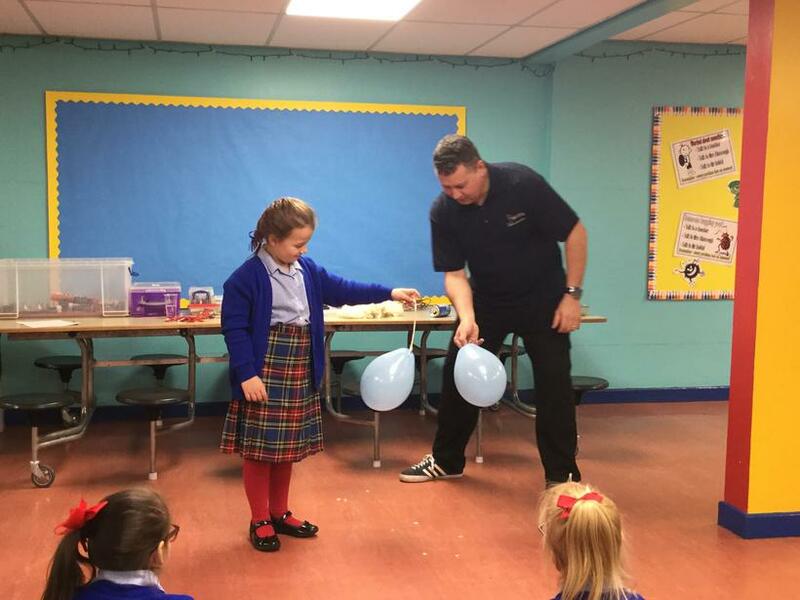 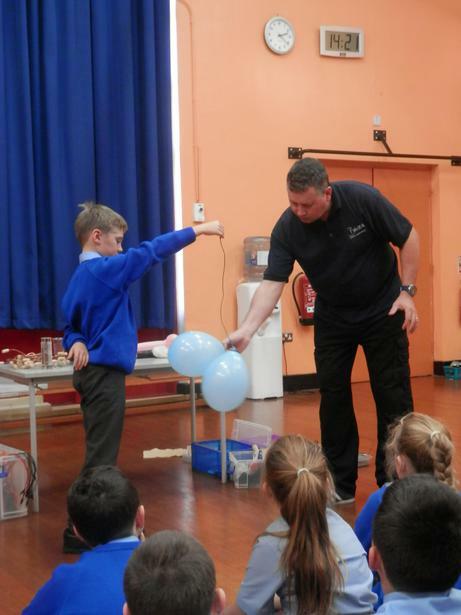 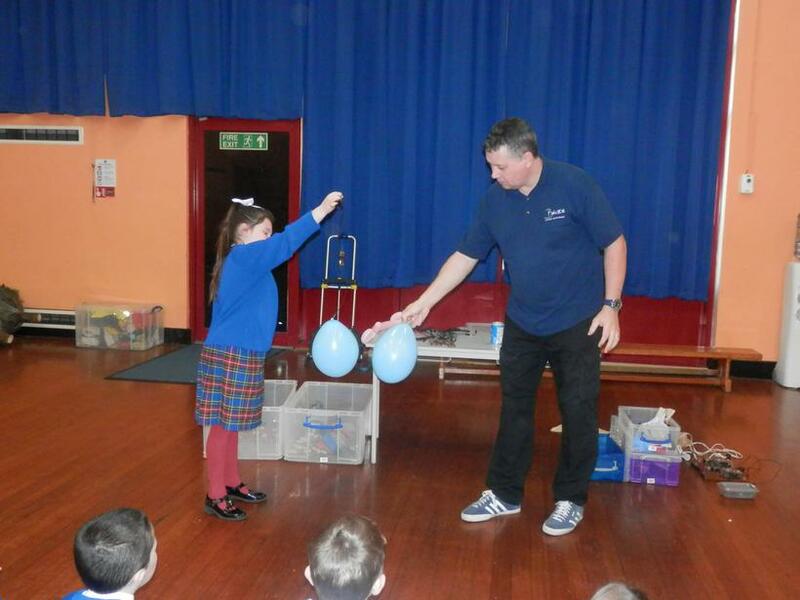 Mr. B showed us how static electricity is formed and explained how our bodies are filled with billions of electrons. 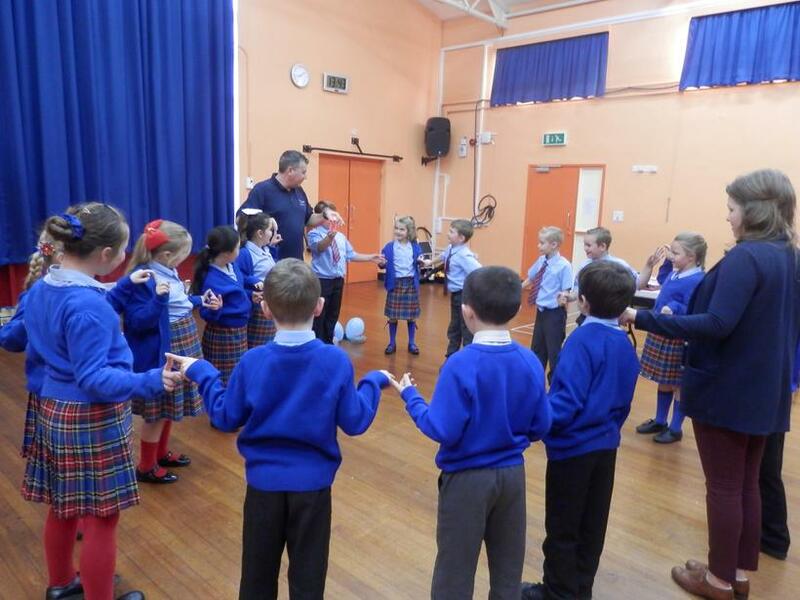 We also made a human circuit to demonstrate how electrons jump to create a current of electricity. 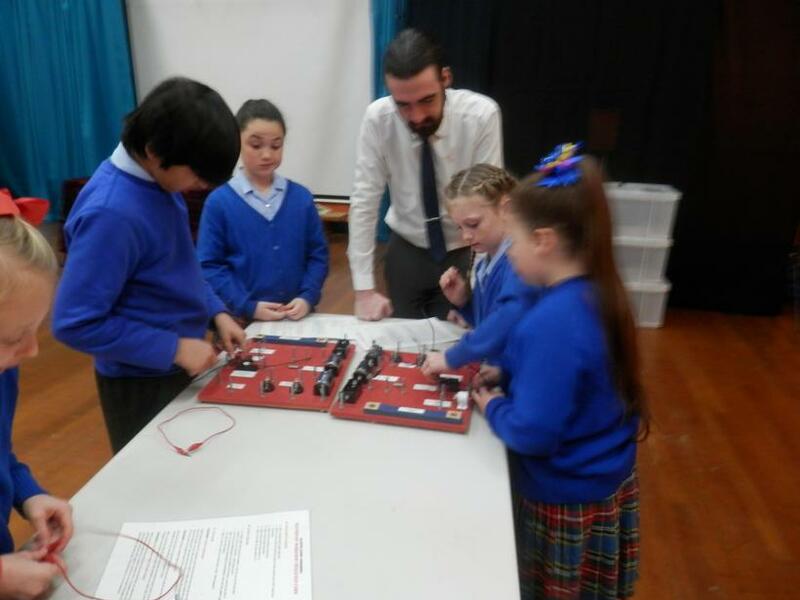 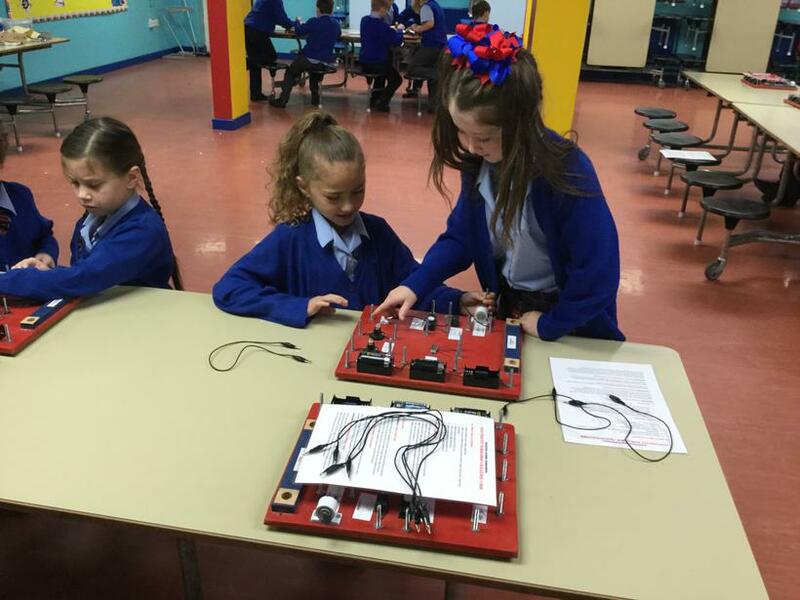 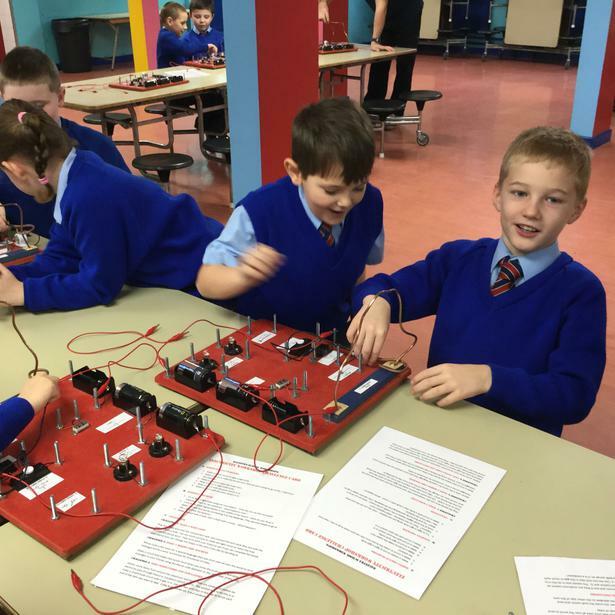 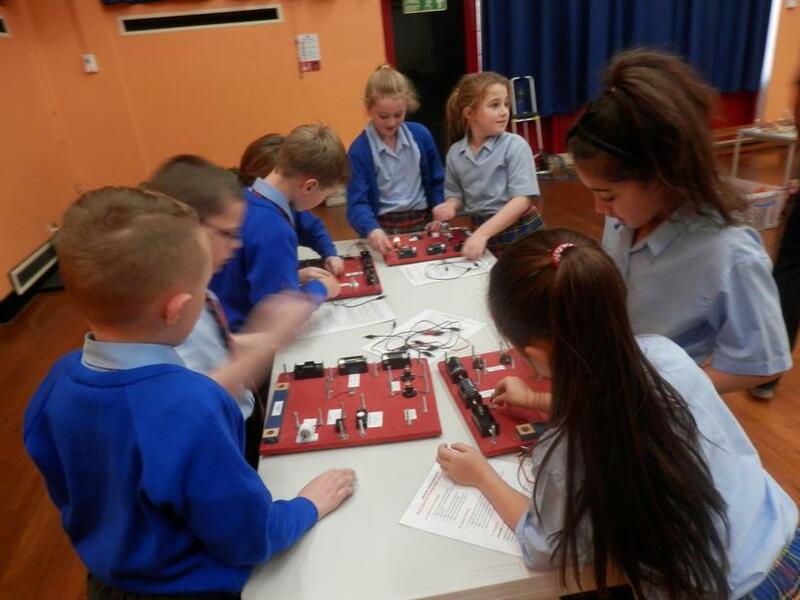 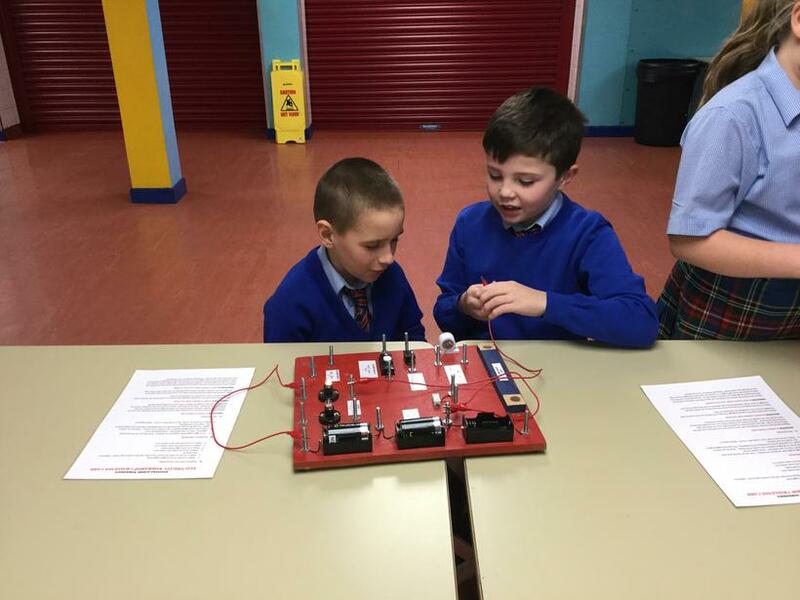 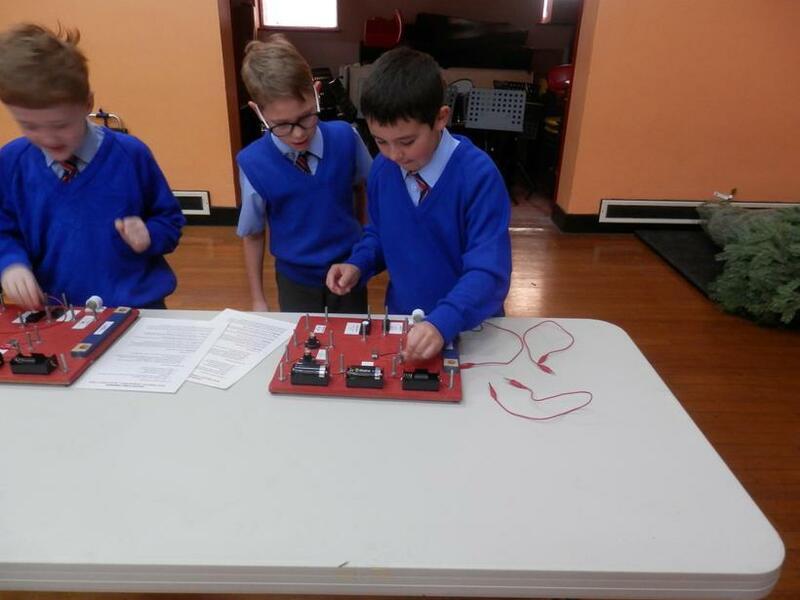 Our main activity involved using a special circuit board to create a variety of circuits, which included making a motor move and lighting bulbs. 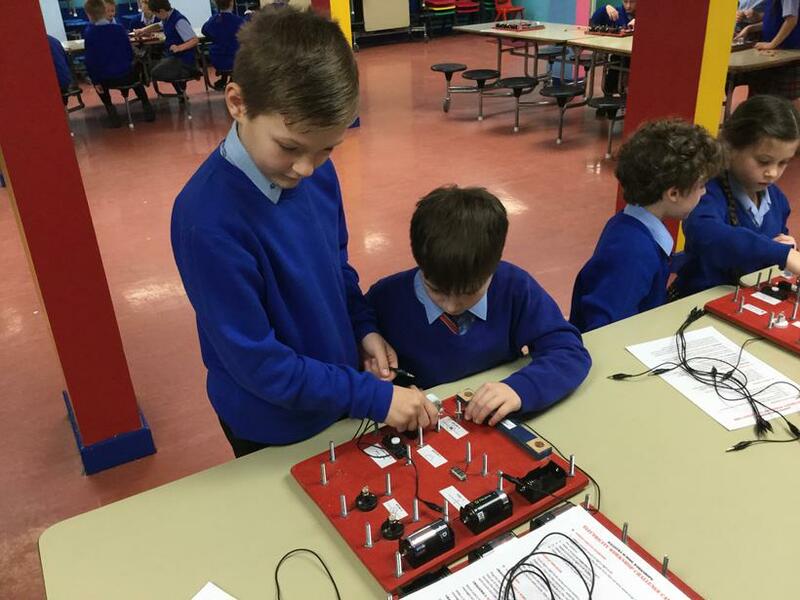 Finally, we set up our own wire buzzer game by connecting crocodile clips to a battery and buzzer. 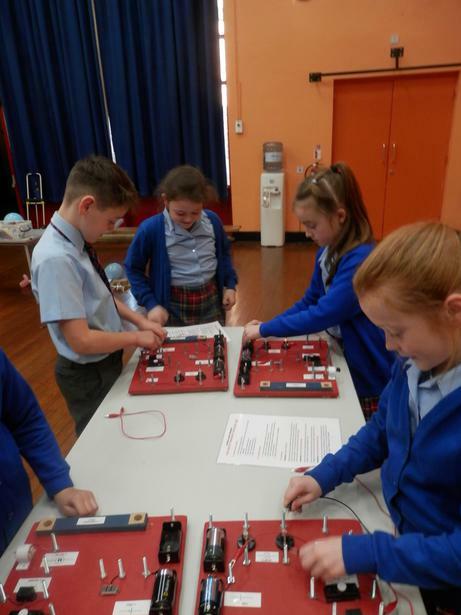 We tried our best to keep a steady hand and beat the game! 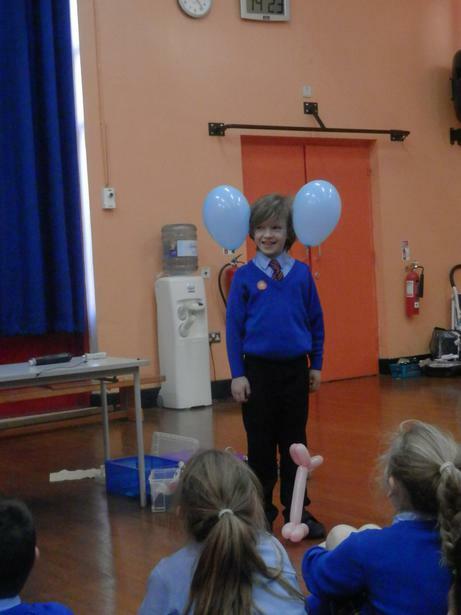 We thoroughly enjoyed our experience with Mr. B and we cannot wait to learn more about this shockingly good subject!